Kyle Lowry Toronto Raptors Signed 8x10 Photo This hand signed Toronto Raptors photo has been personally autographed by Kyle Lowry. Included with your purchase is a Certificate of Authenticity from AJ's Sportsworld. A basketball memorabilia collector's delight! 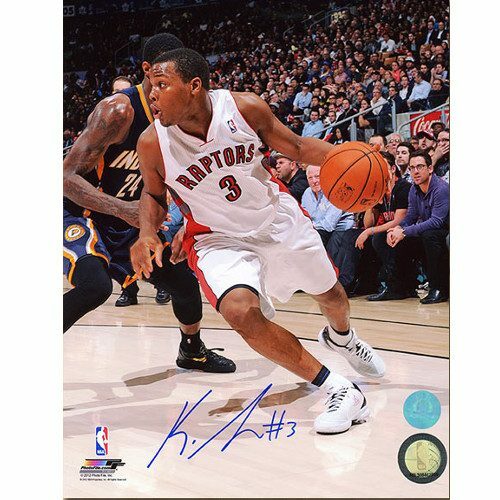 Get your Kyle Lowry Toronto Raptors Signed 8x10 Photo! Vince Carter Dunk-Raptors Net-Cam Signed 8x10 This hand signed Toronto Raptors photo has been personally autographed by Vince Carter. Included with your purchase is a Certificate of Authenticity from AJ's Sportsworld. A basketball memorabilia collector's delight! 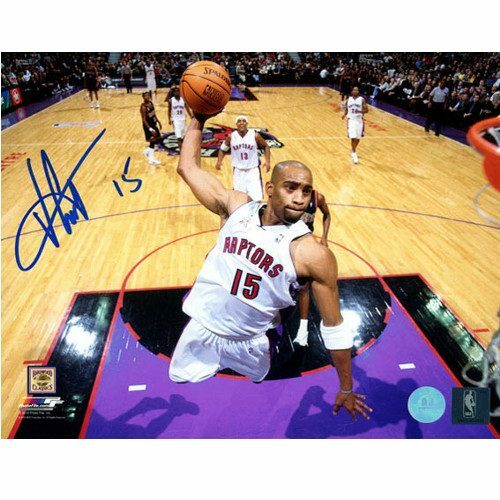 Get your Vince Carter Dunk-Raptors Net-Cam Signed 8x10!